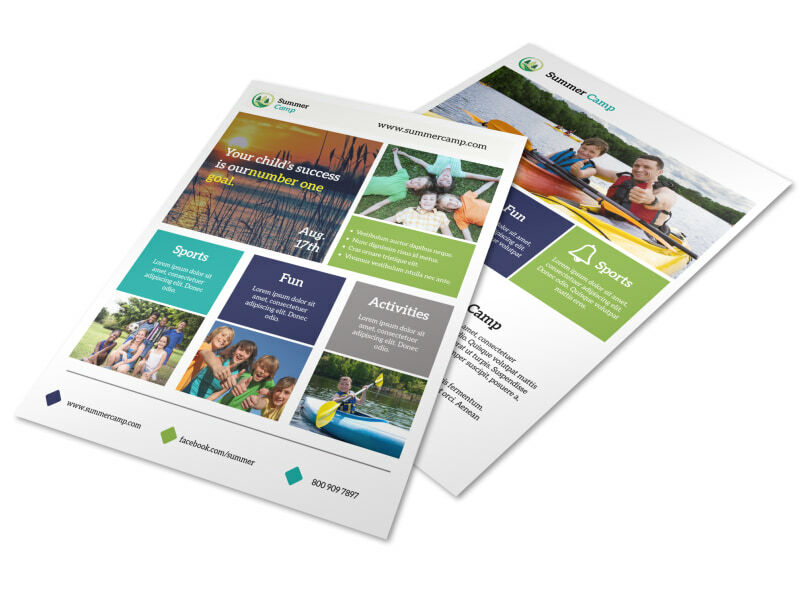 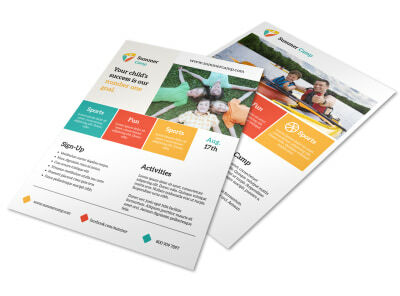 Customize our Grid Design Church Camp Flyer Template and more! 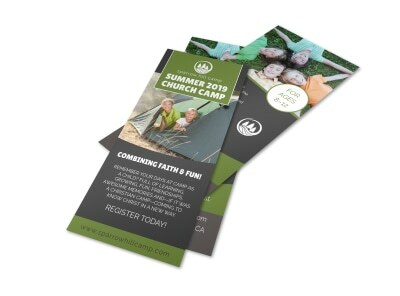 Church camp time is just around the corner, so fill this year's slots by advertising with this eye-grabbing flyer. 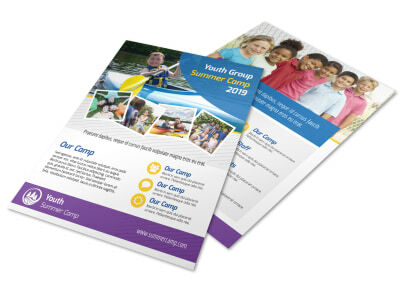 Get kids excited for this year’s camp session with details about programs, presentations, entertainment and guest speakers. 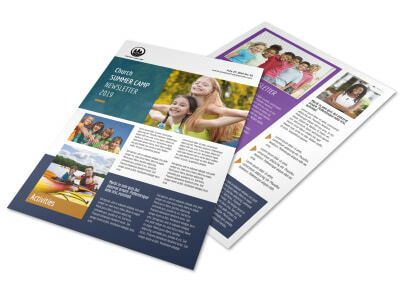 Get your flyer ready for mailing in no time flat by choosing our self-print option.